Bright white liner makes a striking alternative to traditional black and NYX Professional Makeup’s White Liquid Liner is the perfect product to play around with. The white pigment not only creates a statement look, but it makes eyes look brighter and more awake in the bargain. The opaque gel pigment glides on without a hitch and dries to a matte finish. Use it to create a single liner flick along the upper lash line, or use it in tandem with a black liquid liner (black across the top lashes, white underneath the lower lashes) to create an interesting ‘monochrome effect’. 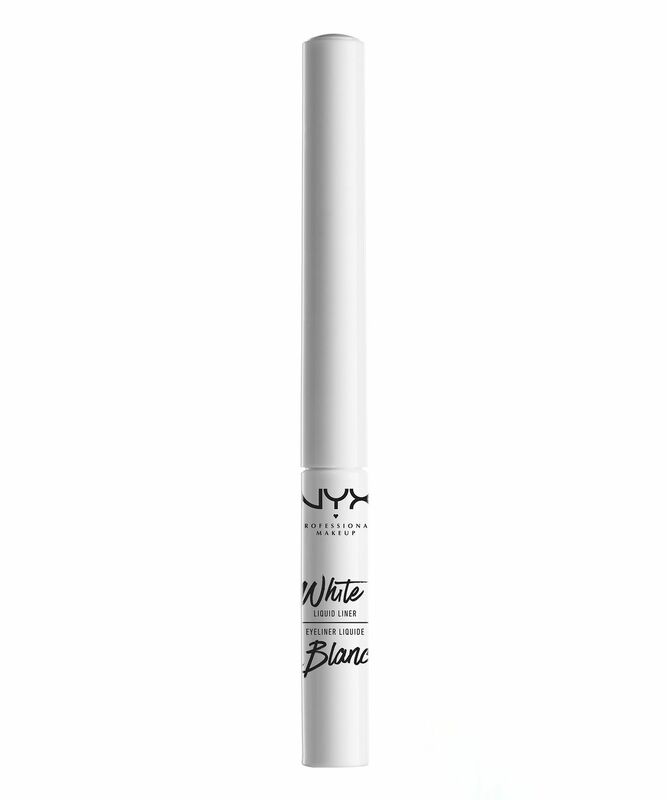 This easy to use and strongly pigmented liquid liner is the perfect way to create a number of graphic liner looks. With a pen and inkpot applicator, together with a precision brush, you can create a number of graphic liner looks with ease, whether it’s adding a touch of brightness at the inner corners of the eye, or a 60s liner flick in reverse. The formula dries quickly to a lasting matte finish. It burns like crazy, dries up and cracks within a minute of applying and is too difficult to apply. If I could it would be getting 0. The only highlight is its pigmented but the pigment goes away fast because it crumbles off. Love this eyeliner !! So easy to apply highly recommended it. You have to work quickly as it dries up fast and if you try to go back over it crumbles. The liner applies very well but once it's dry it starts to crack and flake off and just doesn't look nice.